An operation targeting illegal foreign motorists and offenders was launched on Monday by Northamptonshire Police. Intensive police activity took place on the county’s roads as part of Operation Trivium – a national, week-long campaign aimed at tackling foreign national offenders using our road networks. 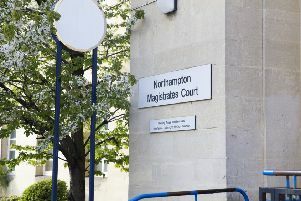 In Northants, officers made two arrests; one man on a European arrest warrant and another for fraud offences. Police seized three vehicles which had no tax or insurance and officers also visited four car washes to check staff welfare. Car washes were targeted as they traditionally attract foreign labour. Officers also given business owners a very clear message that we are looking closely at human trafficking and exploitation and we are working alongside partner agencies to eliminate it. Sergeant Ash Turner said: “We’ve seen some really positive results from Operation Trivium, mainly of foreign offenders wanted on European arrest warrants and a number of uninsured vehicles taken off our roads.